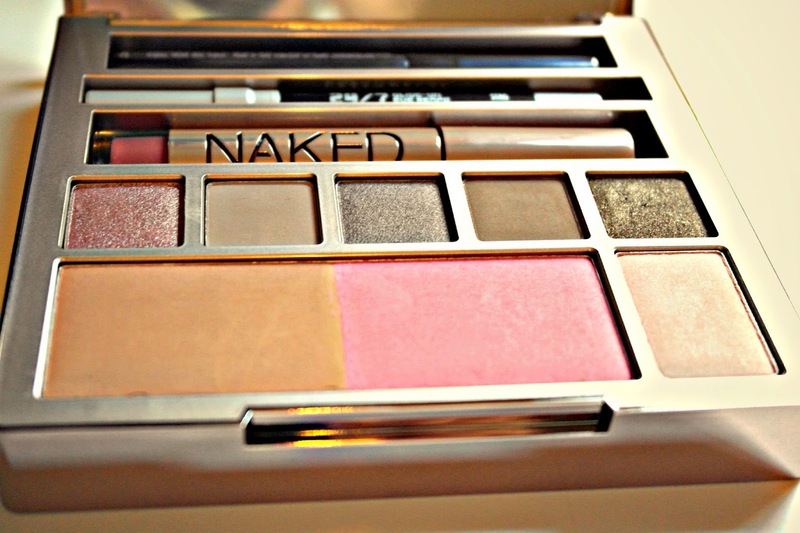 Ever since I tried Urban Decay's Naked eyeshadow palette, I've always been keen to try more of their Naked range, so when I heard about their release of the Naked on the Run palette, my feet were pretty much already marching towards Debenhams in the hope of getting my little mits on one of my own. If you're already in love from the first photo, then just click here and grab your own for £37! Is it just me that thinks the pattern on the box is kind of camouflaged inspired? It's so pretty and shiny, it was never going to be something I could walk away from...and this is just the outer packaging. Inside, you get six new eyeshadow shades; Dive, Fix, Resist, Dare, Stun and 5050! They're all neutral and perfect for creating a natural look. The lighest shade, 5050, is bigger than the others, and makes a great highlighter! There's also a bronzer and a blusher. The blusher is a bit too pink for me on its own so I usually mix it with the bronzer or just wear it in the evening. The glide on eyeliner than comes with the set does literally glide on. The pigment is very dark too so you don't have to keep layering it on and messing up the smooth line you originally had! The only problem I have is that it gets blunt very quickly, and maybe it's just me with a rubbish sharpener, but I've not been able to get it into a point like how it was when I got it - bit frustrating! Finally, you get the Perversion mascara. It's good but I still prefer Benefit's They're Real by a mile! I'd still happily use this one if I was staying away for the weekend as it you can just pick up this palette and go. 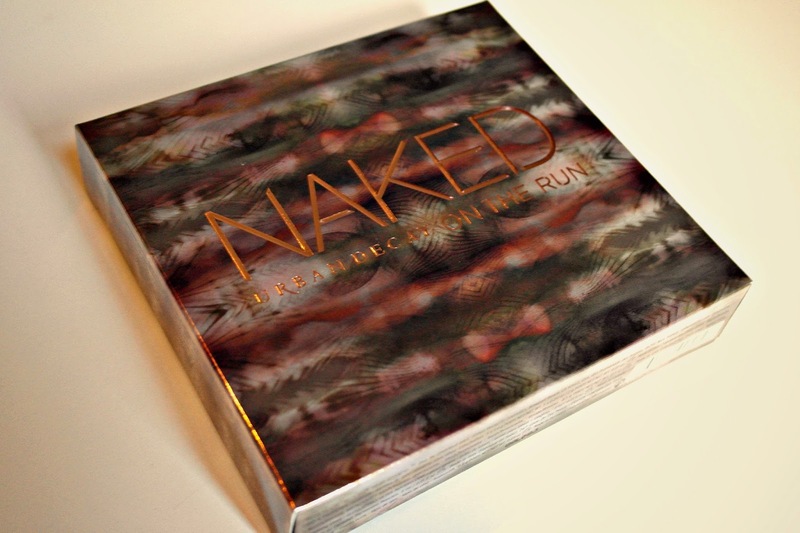 Naked on the Run really is great for girls that go away alot at the weekend or that just travel about in general! All the pieces fit neatly into the pretty little box they come in - and did I mention it has a rather big mirror? All you need extra is some foundation, powder and your makeup brushes. I don't normally much make up but this palette looks beautiful. What a beautiful palette!! 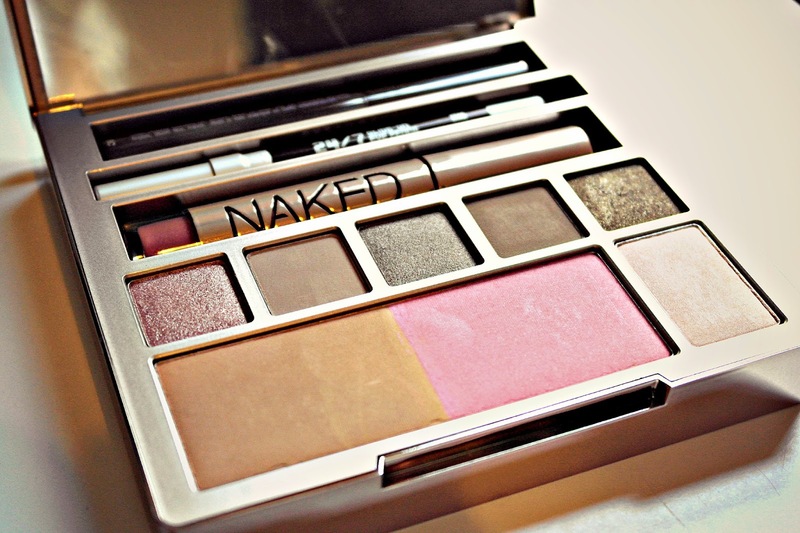 I've always wanted to try the Naked palette but haven't gotten a chance. I would love to own this one! This palette looks absolutely gorgeous - the shades are beautiful. Definitely tempted!! The on the run palette has been one I reaalllyyy want to try, it looks amazing! I just love the design on the front of this palette! so tempted to get this, so handy! this palette looks great, i'm gonna check it out!